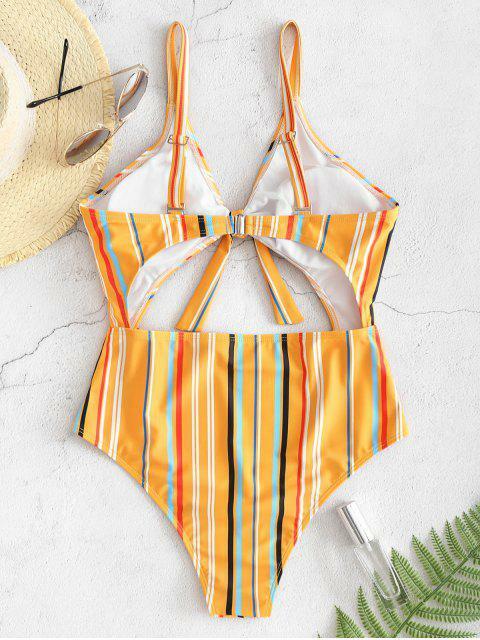 [21% OFF] 2019 ZAFUL Striped Cutout One Piece Swimsuit In BEE YELLOW | ZAFUL .. Loved this one the most!! Super cute!! Love it Comfortable and of fantastic material. It is a little big on me. Such a great one piece! Not too risky, but also not too conservative. Great material & fits true to size. I normally wear a medium/large top and 5/6 bottoms. I purchased a medium and it fits great! 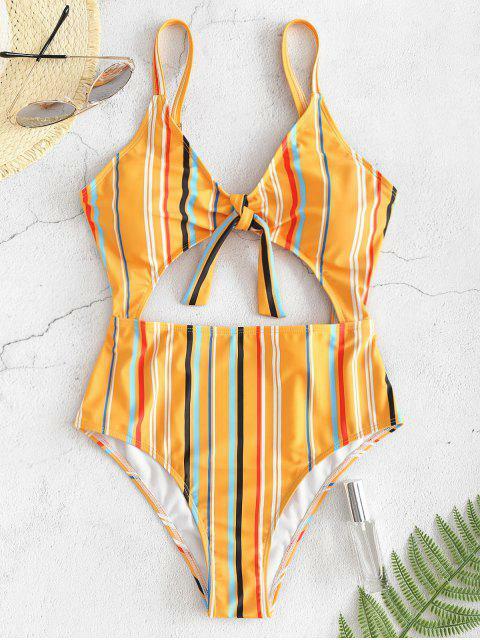 All-over stripe patterning to add dimension to the aesthetic, the one-piece features a cute cutout and a neat bow on the front. 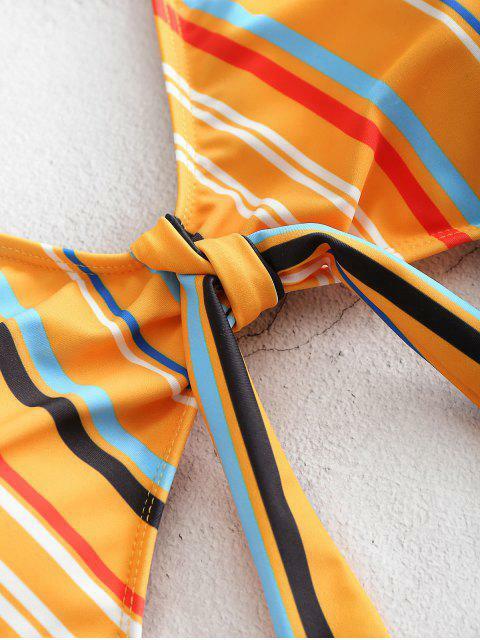 Wear yours with slides and a wide-brim hat before heading to the beach.